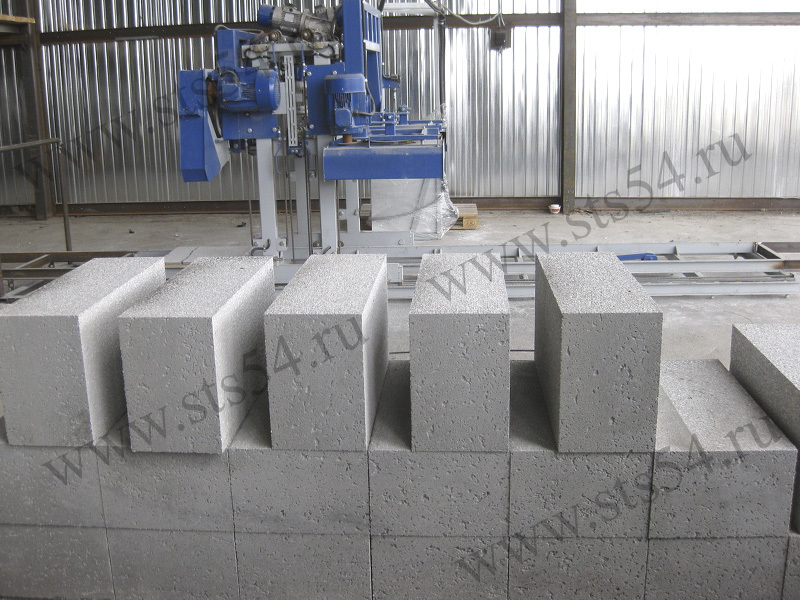 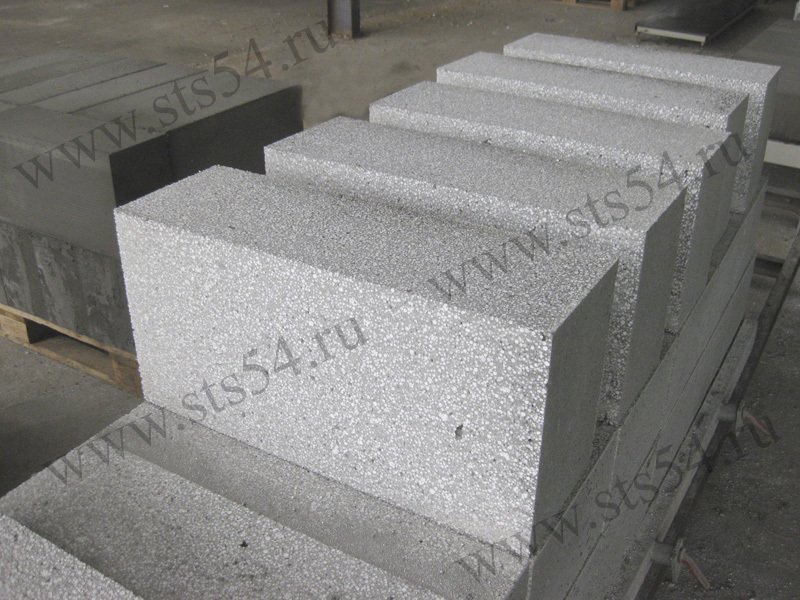 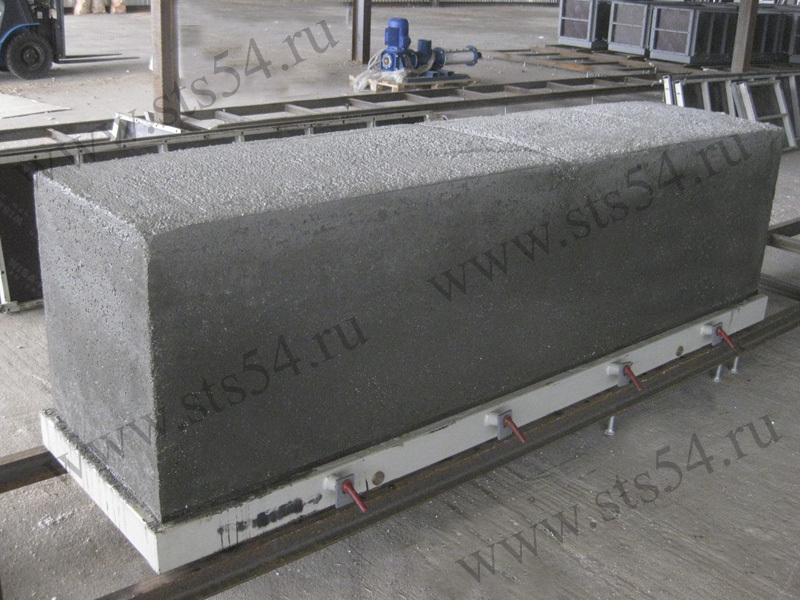 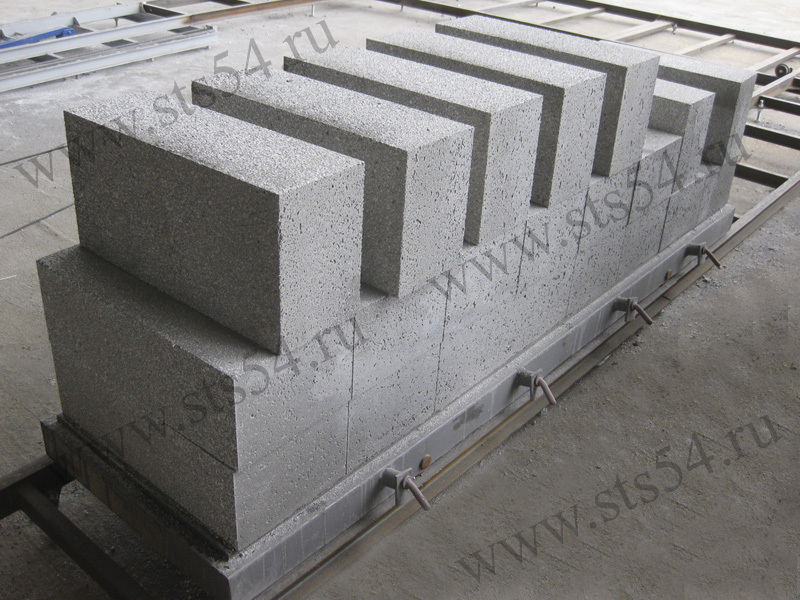 Strength gain of material in a mass (mould volume is 0,92m3) goes much more extensively by means of heat liberation and conservation in the process of cement hydration. 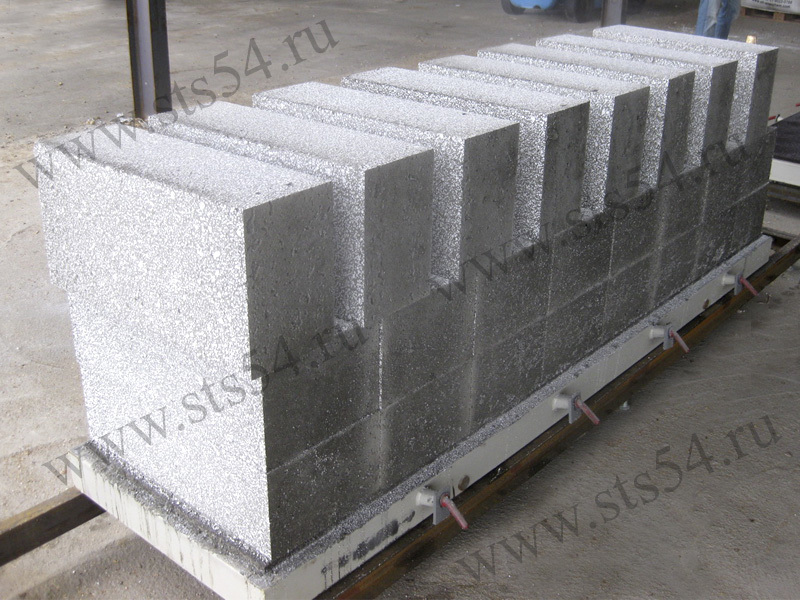 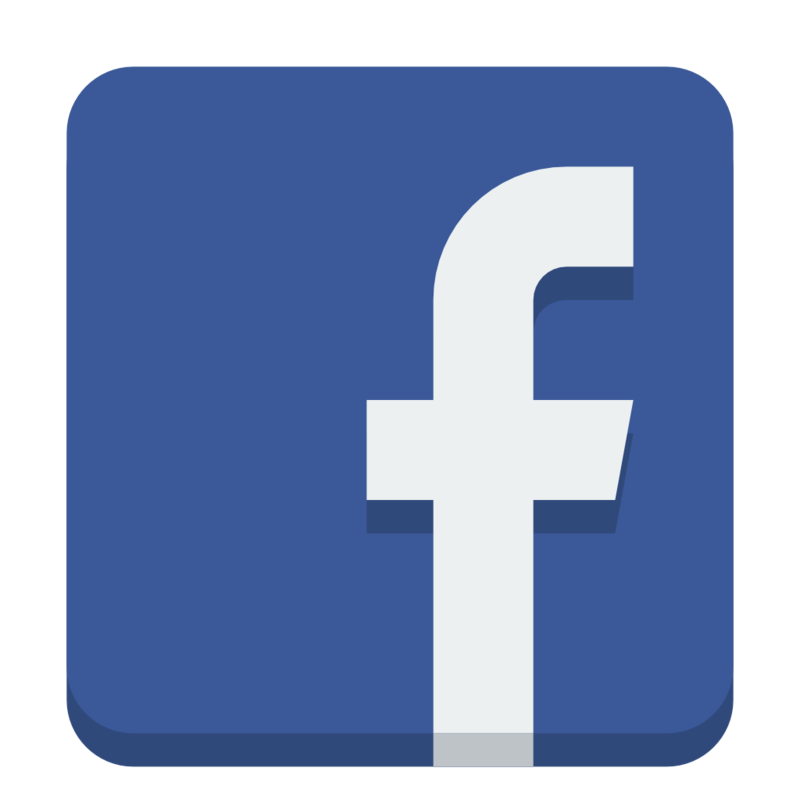 This fact provides higher strength characteristics of the product. 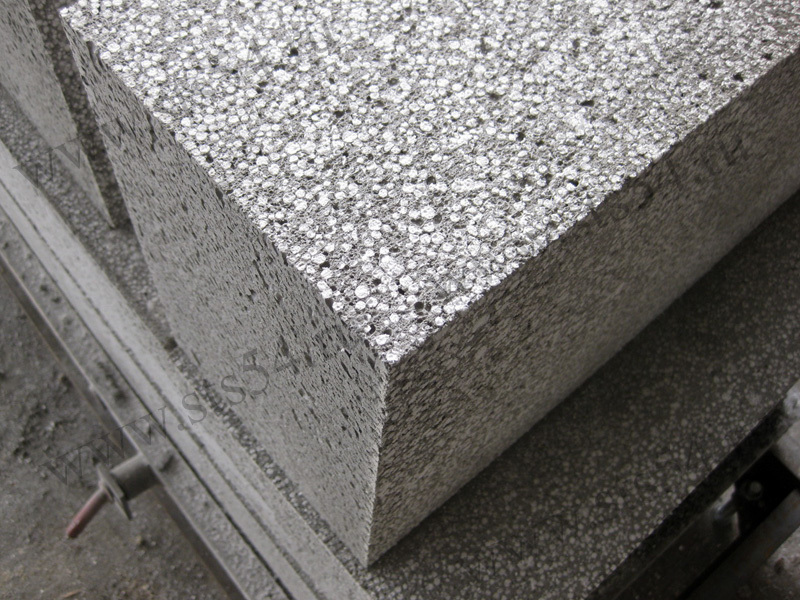 The cutting technology provides to manufacture products with geometric fidelity of ± 1 mm and product’s surface quality meets necessary standards. 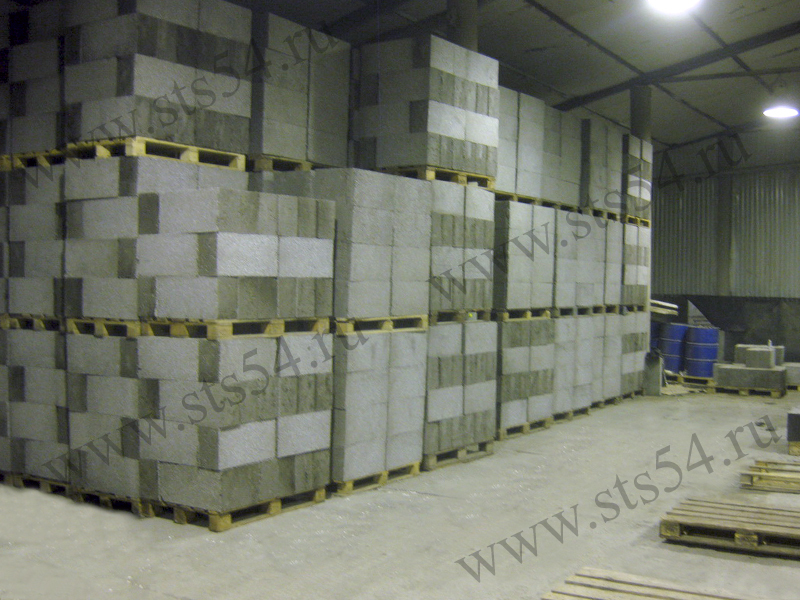 This significantly increases thermal efficiency of exterior walls and allows making settings using special types of glue. 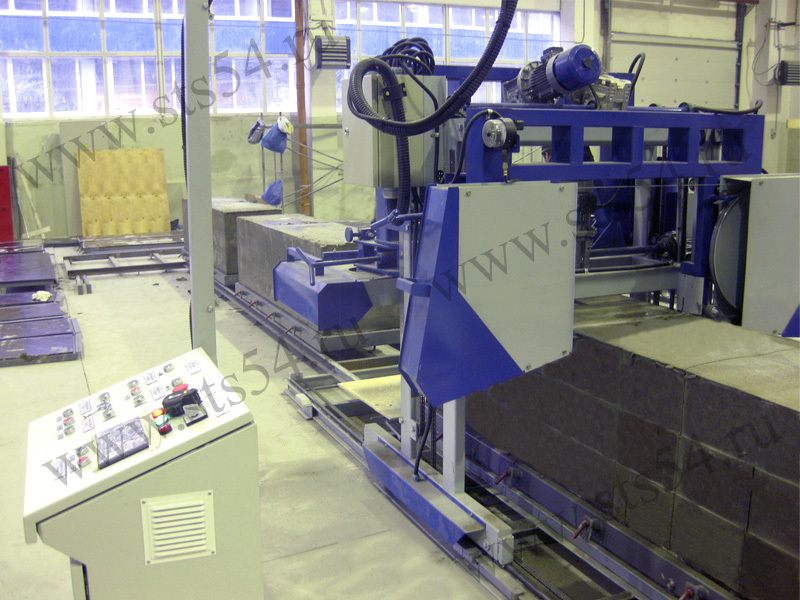 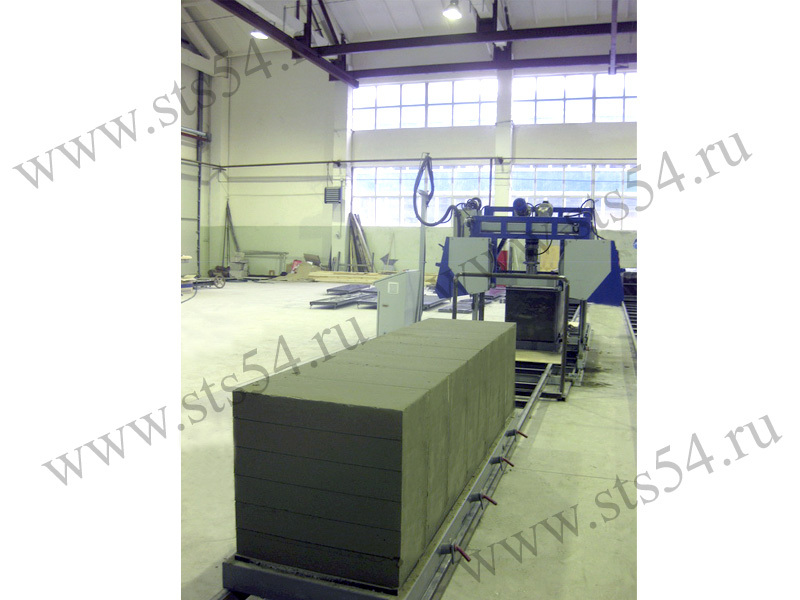 The cutting set allows producing products of different types and sizes. 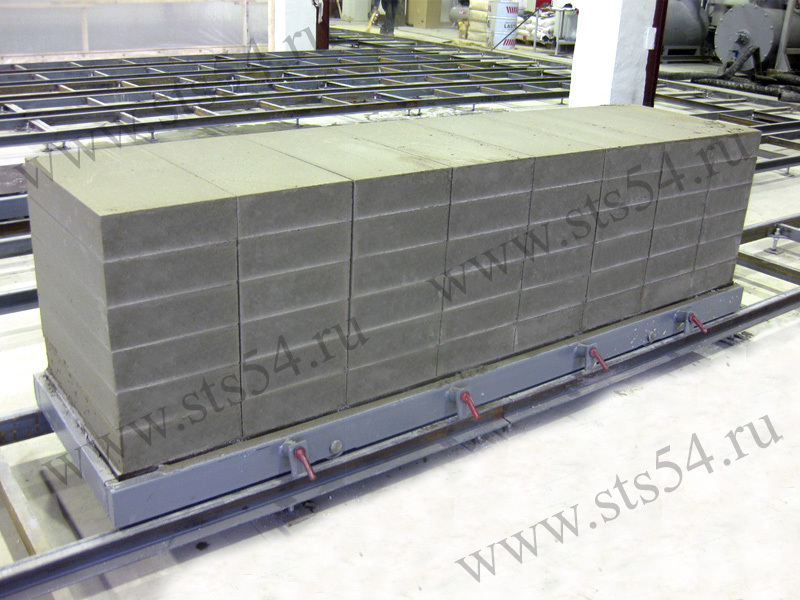 It is not possible when one uses battery moulds because sizes of blocks depend on cells’ sizes. 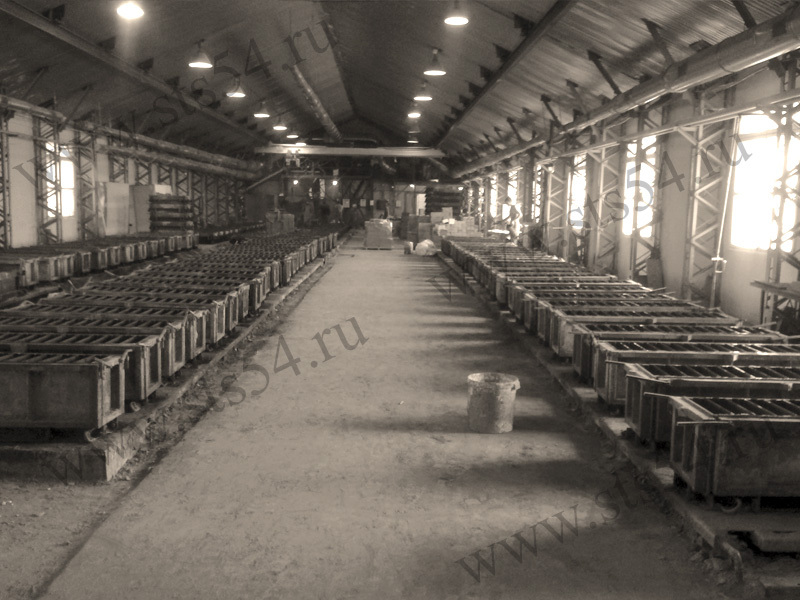 counting capital investments in case of the metal battery moulds use we find that to supply a factory with capacity 20 m3 per shift roughly 1200000 rubles are needed (if average market price of the battery molds is 60000 rubles for 1m3 ). 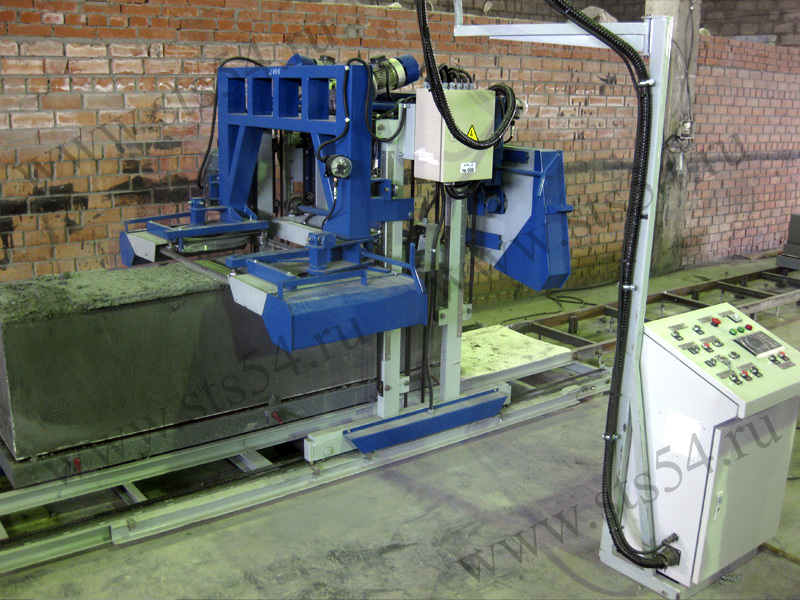 The cost of the RK-3 cutting set is 350000 rubles. 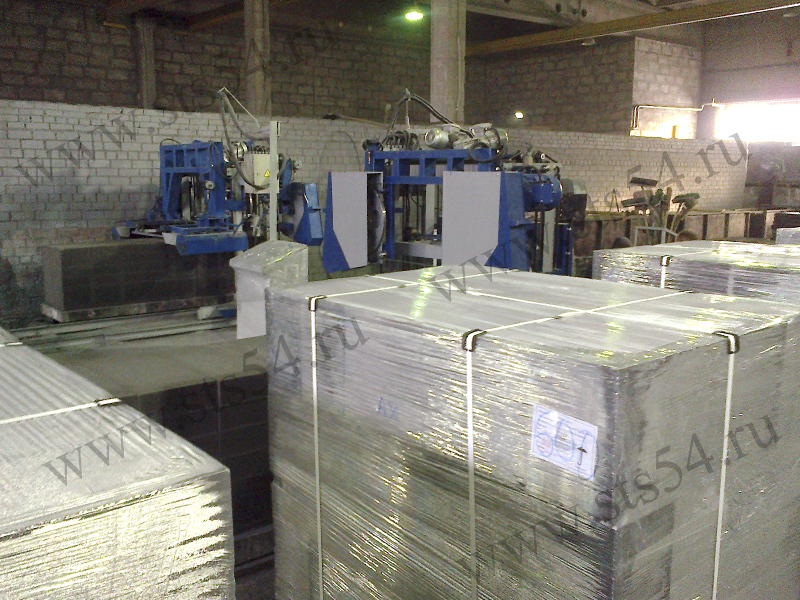 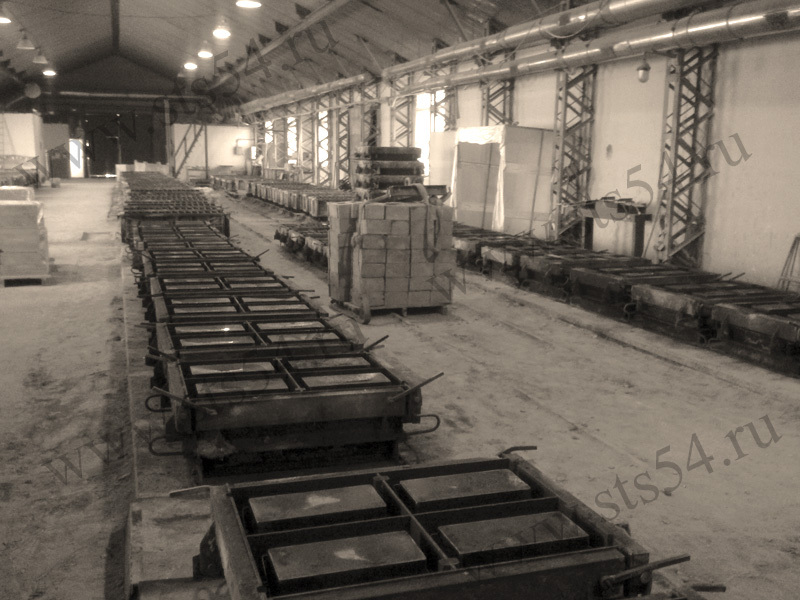 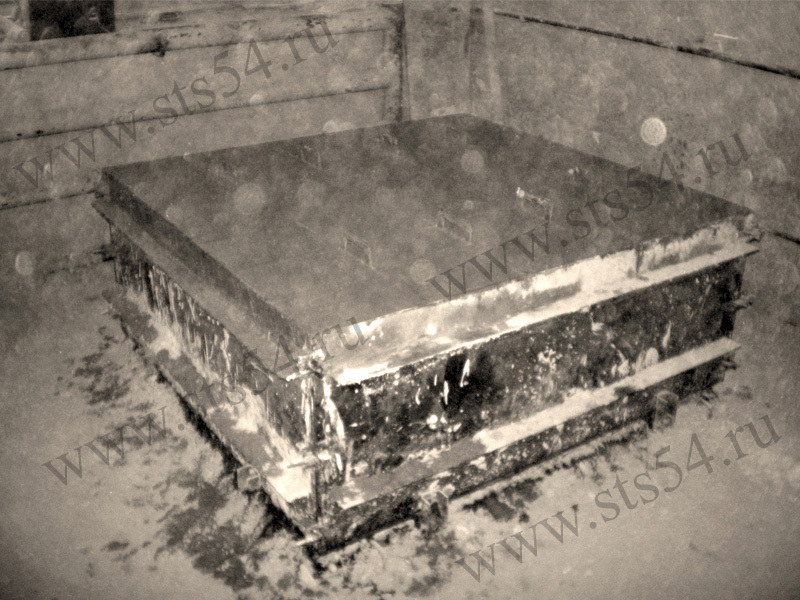 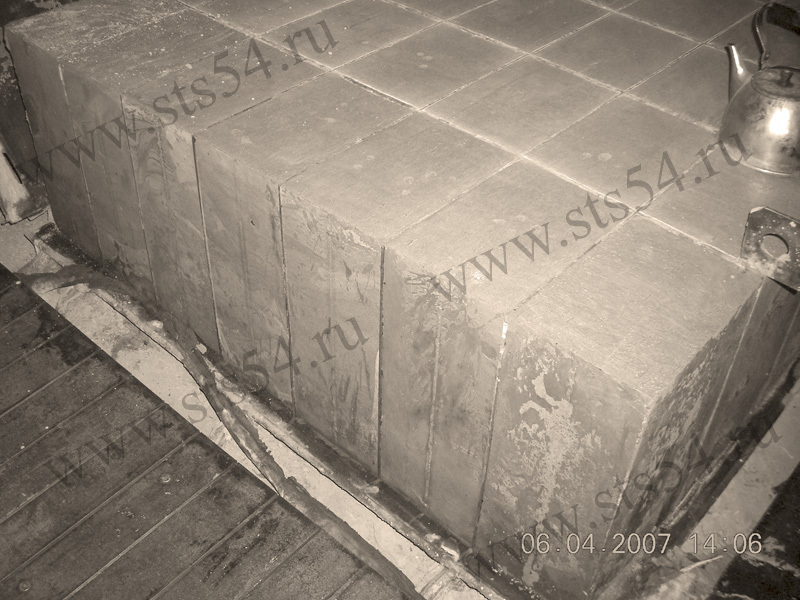 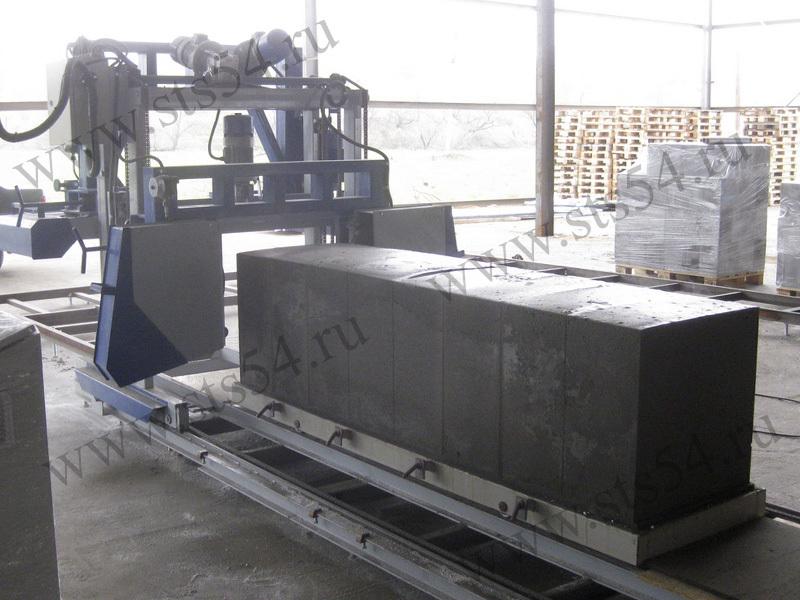 Moulds for mass filling (mold volume 0, 92 m3) in the amount of 22 pieces at the price of 22000 rubles cost 484000 rubles. 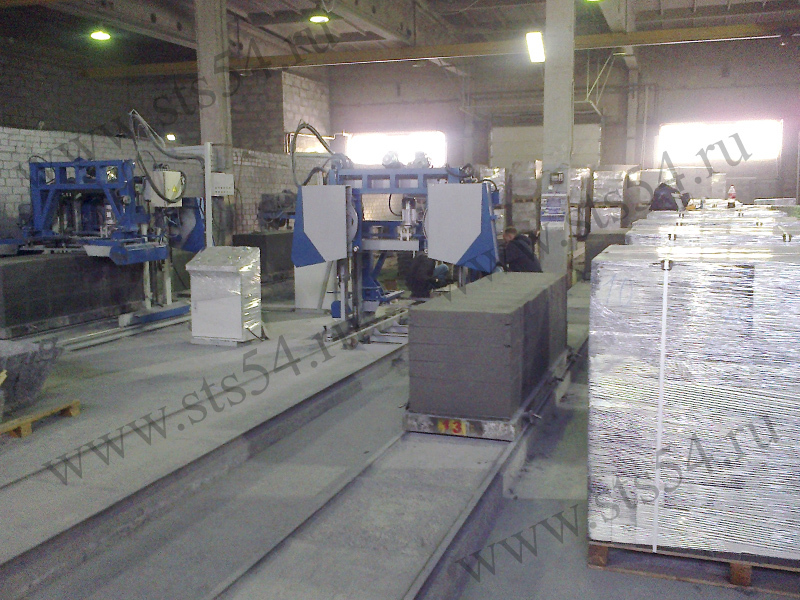 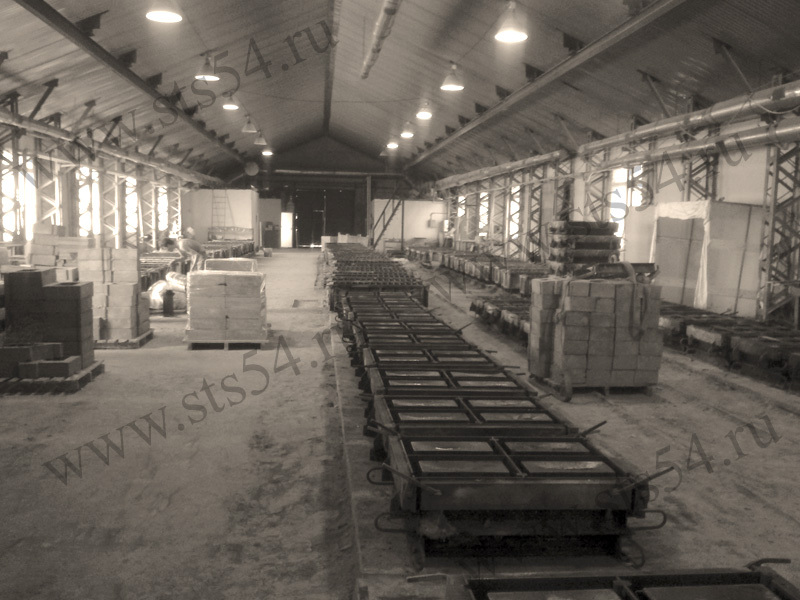 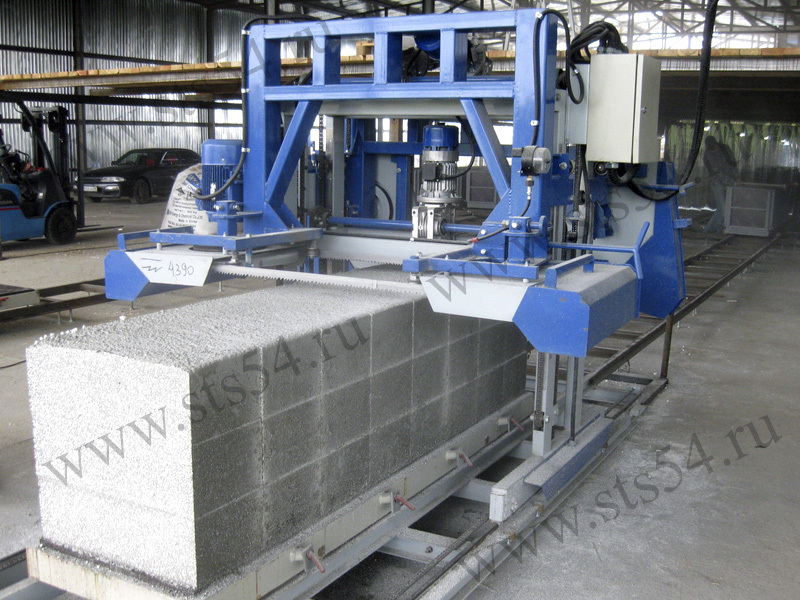 (It is possible to reduce investments in the moulds through individual production according to provided schemes). 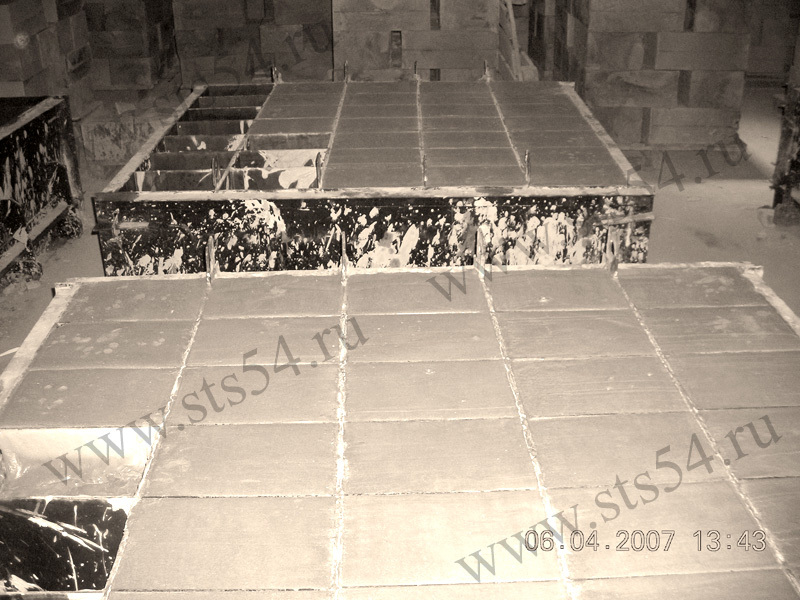 As a result you can save 366000 rubles and get the opportunity to turn out products of higher quality. 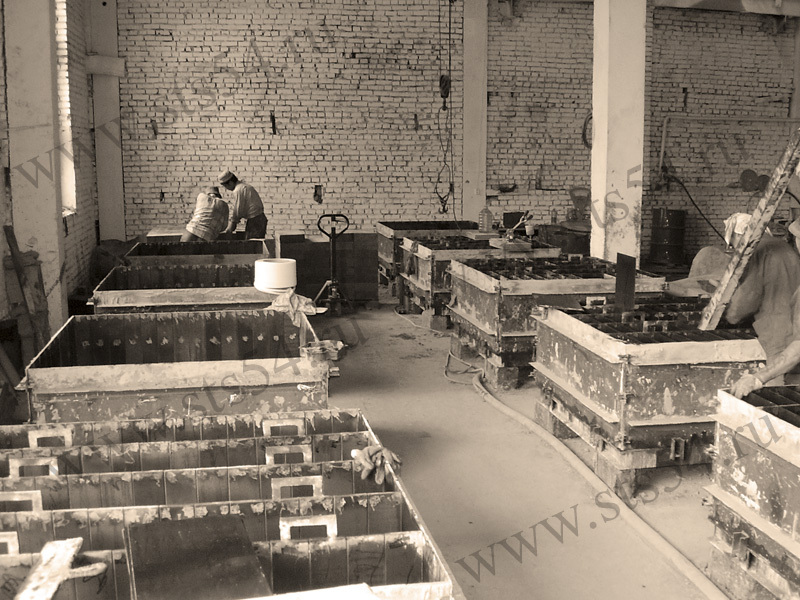 Endurance of saw blades depends on the used raw materials’ type and properties and as a rule equals to 10000-12000 m2 of cut. 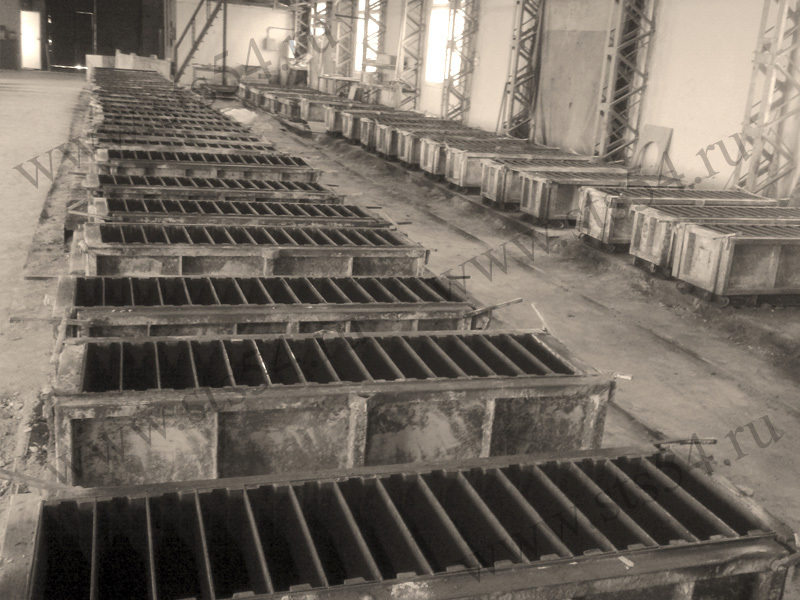 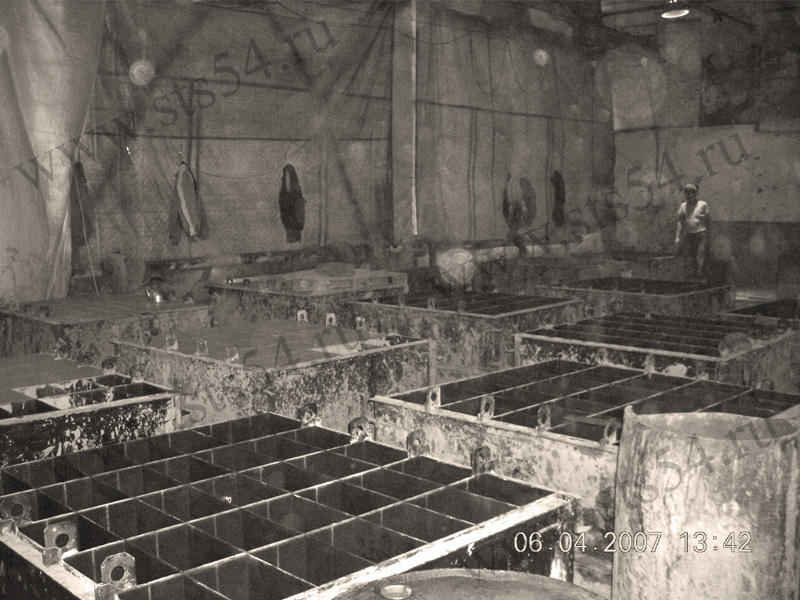 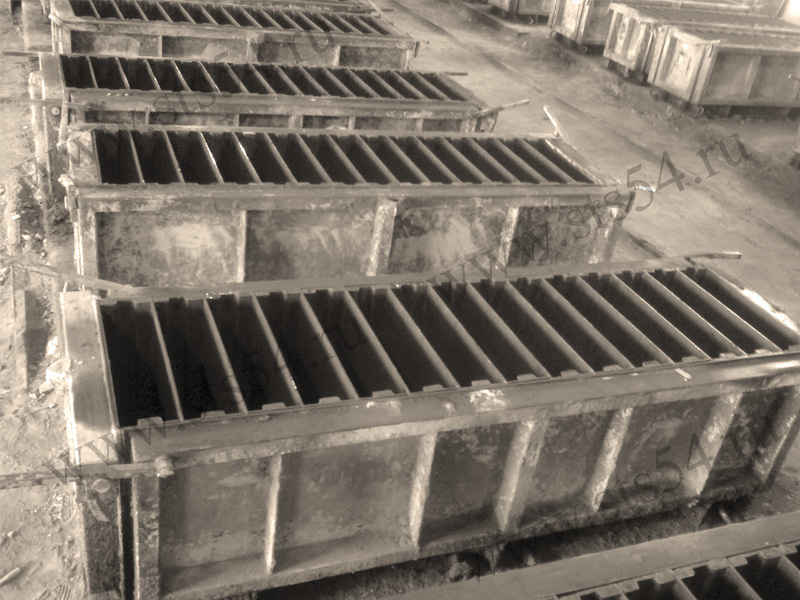 sellers of the equipment assure that the metal battery moulds are “eternal”, but the moulds’ operating life is quite short. 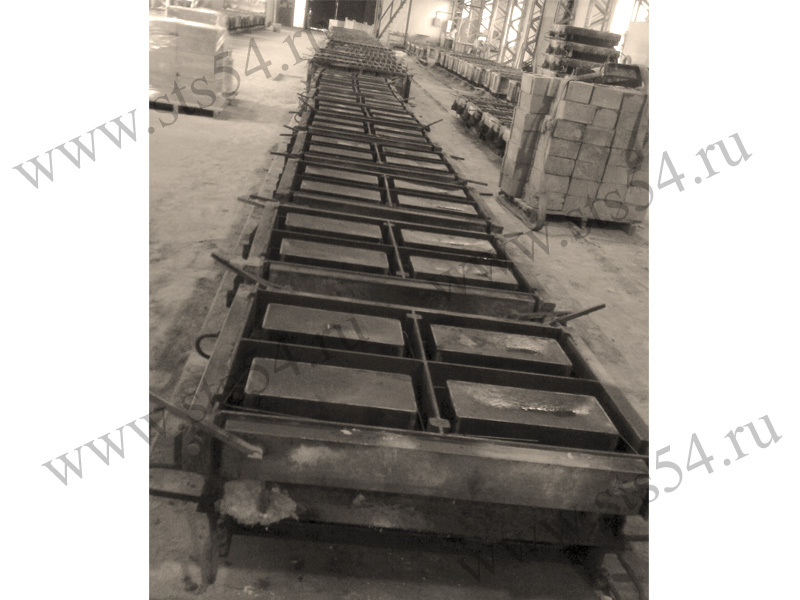 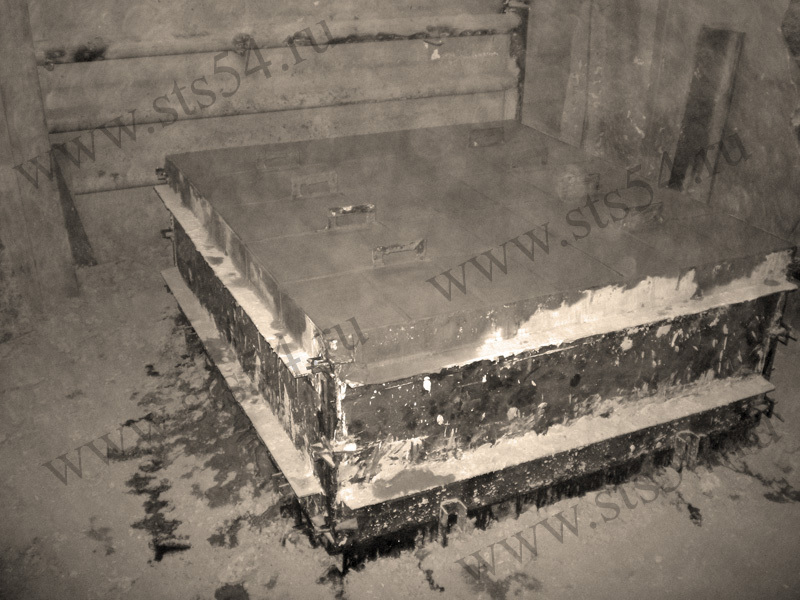 It is necessary to follow operating standards using such moulds. 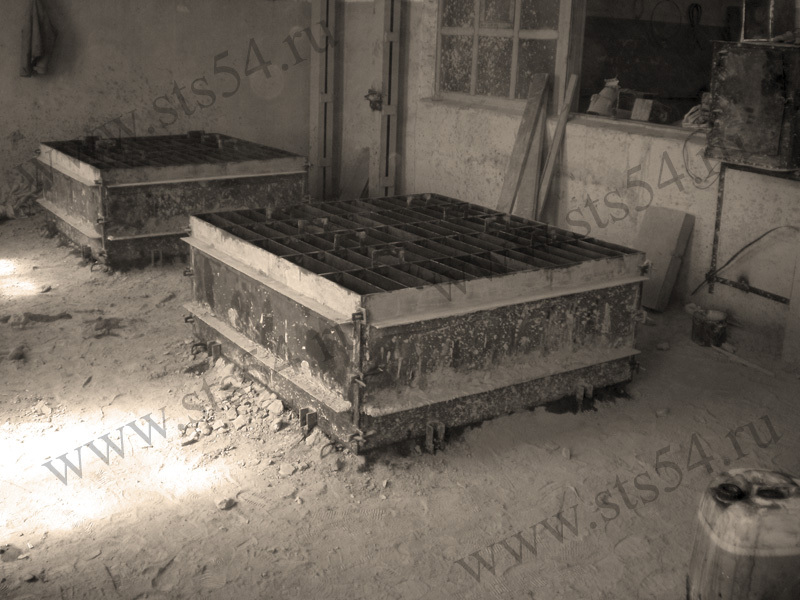 But in practice assembly and disassembly of the moulds are made using some available tools (hammer, sledgehammer, crowbar, etc. 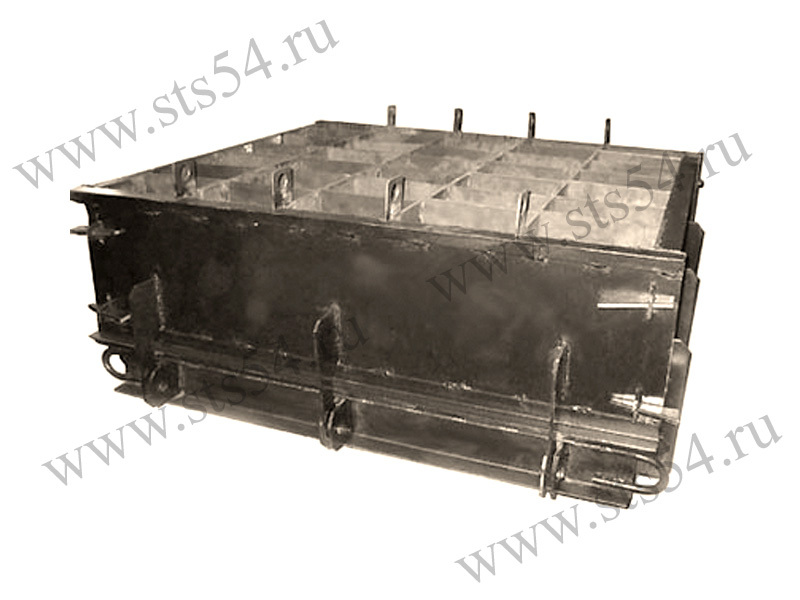 ), and as a result metal is distorted. 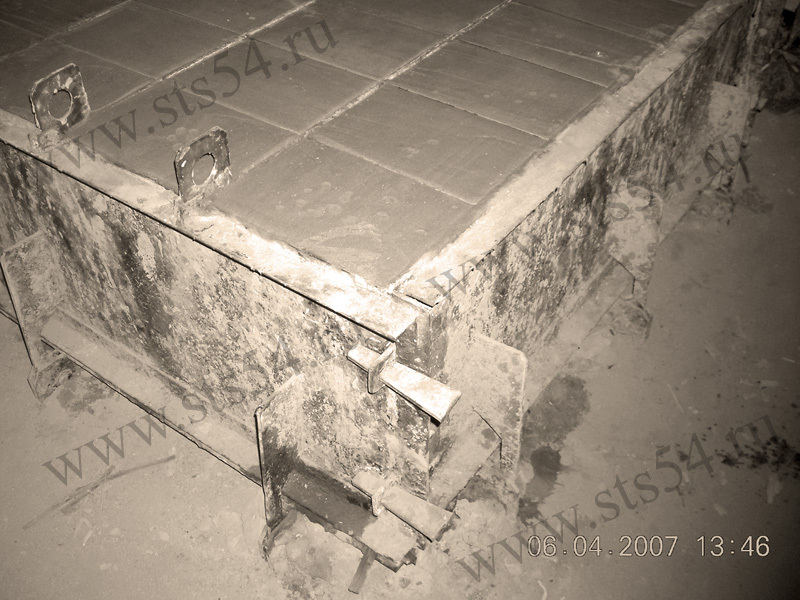 It leads to significant dimensional drifts of the products, and the mould is unworkable in the future.